Molybdenum (also known as "Moly") has an extremely high melting temperature of 2620°C. It retains tensile strength at temperatures above 1000°C, exhibits a low coefficient of thermal expansion and good electrical conductivity properties which are favorable for creating molybdenum components and assemblies for the electronic, semiconductor and lighting industries. Sylhan can provide molybdenum parts, machined and lanthanated, based on your specifications. 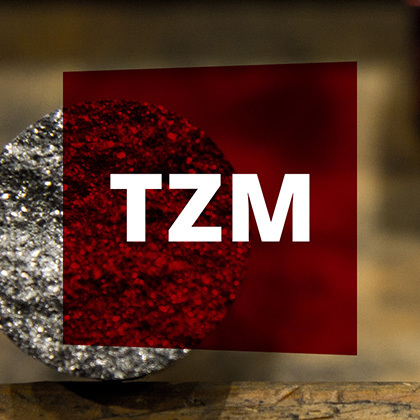 TZM is an alloy of molybdenum containing titanium and zirconium developed to exhibit greater tensile strength than pure moly. TZM also has a higher recrystallization temperature of 1425°C. Applications for TZM moly alloys resemble molybdenum but result in products that may exhibit greater service time. Industrial applications for TZM machined arc chambers include ion implantation and other semiconductor products, while medical applications for TZM include rotor shafts and cathode assemblies for X-ray targets. Tungsten has an extremely high melting point (3400°C). The refractory metal is often used in the lighting industry due to its high heat tolerance and electrical resistivity. The metal is very strong and durable and also has a high density, making it an ideal material for a variety of aerospace applications, including counterweights and nozzles. 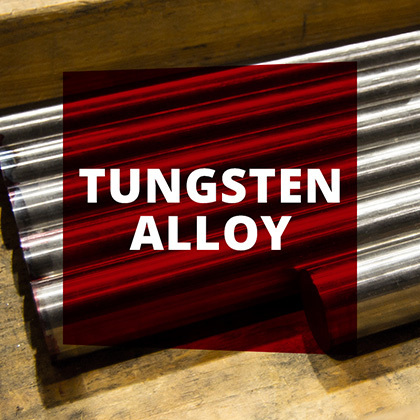 Tungsten alloy is a strong, resistant metal that consists of 85-95% tungsten with binders of nickel-copper, iron-nickel, iron-copper or nickel-cobalt-molybdenum. It’s machined by turning, drilling, boring, milling and shaping. Tantalum has a high melting temperature of 3000°C, and its properties make it ideal for sputtering targets in the semiconductor and electronics industries. Tantalum is considered very ductile over a wide range of temperatures which makes it very challenging to machine. Sylhan has over 40 years experience machining tantalum. Inconel alloys are typically used in extreme environments due to its high corrosion resistance and yield strength over a wide range of temperatures. When faced with intense heat, an oxidized layer forms to prevent further damage. 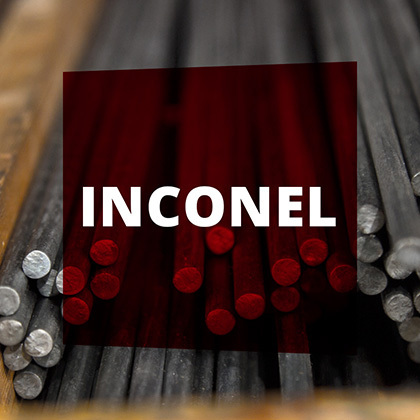 There are a variety of inconel alloys for an even wider variety of uses, such as Inconel 625, which is very weldable and commonly used in aerospace components. Niobium has a melting temperature of 2470°C, exhibits good thermal conductivity, and its high corrosive resistance makes it the material of choice for heat exchanger applications in industries such as pharmaceuticals. Niobium components may also be used in applications that exhibit high temperatures. 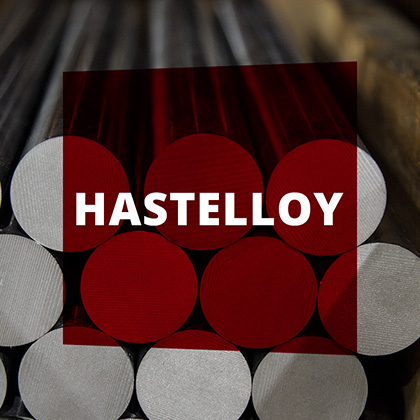 Hastelloy is used in petrochemical process equipment and gas turbines due to its resistance to oxidation, carburization and nitriding. It’s known for its versatile industrial applications such as furnaces and is a metal commonly applied to aerospace components. Chromium is valued for its hardness and resistance to corrosion. For these reasons, chromium is often added to steel to form stainless steel, which is often how it’s commercially utilized. The alloys chromite and chromium oxide are used in blast furnaces, kilns and for foundries in the casting of metal due to their high melting points. A nickel-cobalt ferrous alloy, kovar’s characteristics are compatible with thermal expansion similar to glass. 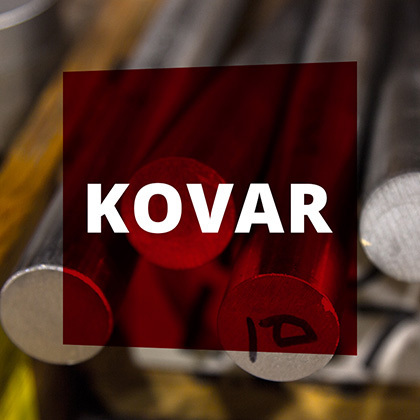 Kovar makes a reliable glass-to-metal seal, which is why it’s used in light bulbs, vacuum tubes, cathode ray tubes and electroplated conductors. Titanium maintains a high melting point of 1668°C. It’s used in a variety of marine applications due to its immunity to corrosive salt water attacks. Its favorable ratio of high strength and low density makes it an ideal material for medical components such as surgical implants and industrial fasteners. Stellite alloys are non-magnetic and highly resistant to corrosion. 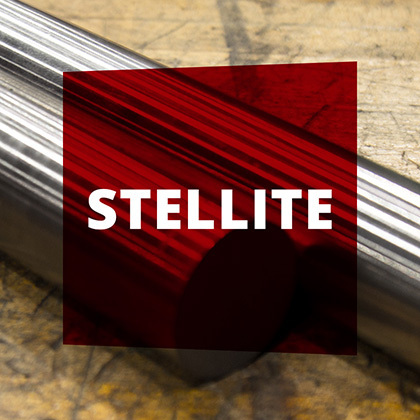 These characteristics make stellite an ideal alloy for applications such as saw teeth as well as hardfacing and acid-resistant machine parts. Aluminum has a wide range of uses and is a metal that is almost always alloyed, unless corrosive resistance is required. Aluminum becomes much stronger when alloyed, which is why these machined components are used in transportation and commonly found in heat sinks for CPUs. Stainless steel is a fairly common alloy found in anything from home appliances to large construction equipment. Stainless steel is resistant to corrosion, rust and staining with water, as opposed to ordinary steel. 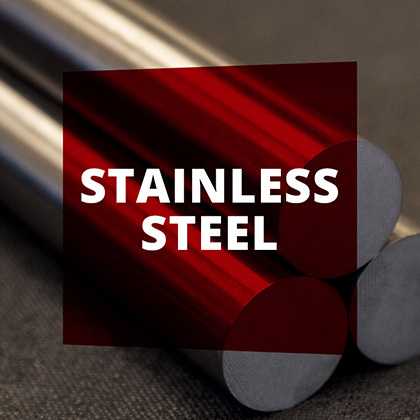 This is also why stainless steel is used in surgical instruments, industrial equipment and structural alloys for automotive and aerospace components.